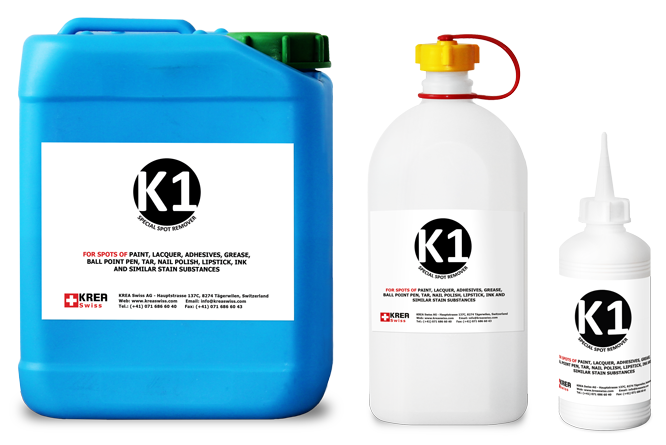 The K1 is the spot remover for grease and paint stains, especially against persistent oil stains, such as machine oil, grease, makeup, lipstick, nail polish, pens and other staining substances. K1 may damage acetate fabrics! Prior to spotting, we recommend to try the products on the seam.